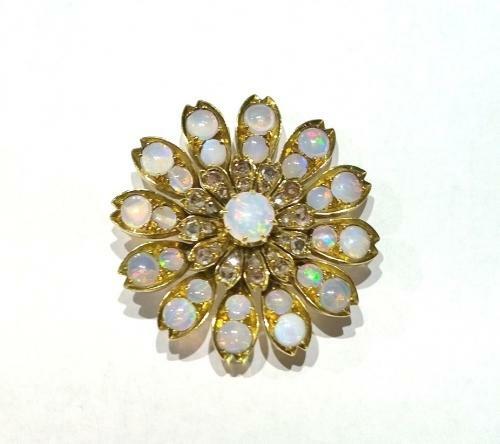 Opal flower brooch set in 18ct gold. c.1880. 32mm in diameter. 15.6gms in weight.